“The model we’re pursuing here in St. Louis is pretty unique,” said Paul Woodruff, executive director of Prosperity Connection. The two non-profits opened the first Wealth Accumulation Center in Pagedale last year. Woodruff said the goal of both centers is to meet people where they are financially. That includes offering free financial education and coaching at what’s called the Excel Center. Classes taught at the center focus on personal financial management; from budgeting, banking, credit and avoiding predatory lending to debt reduction, paying for college, and auto and home-buying. Dorothy Bell, senior vice president and chief marketing officer with the St. Louis Community Credit Union, said the education helps their clients reach their goals. “If people know better, then they’re able to be on track to do a little better,” Bell said. 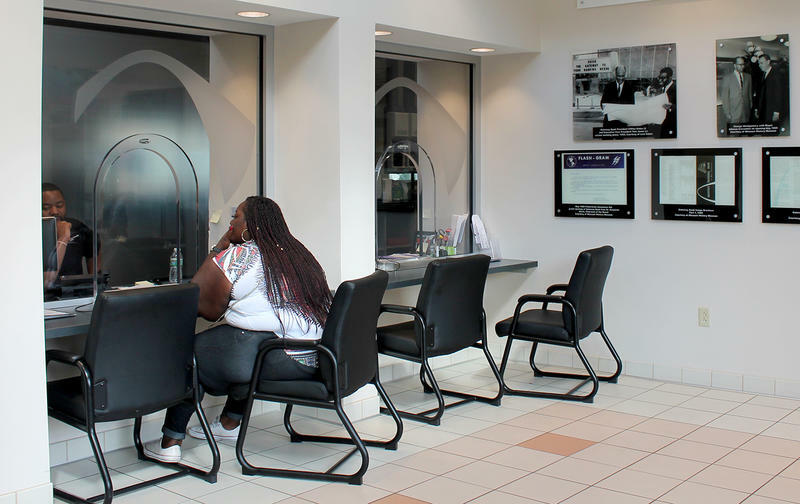 The Wealth Accumulation Center is located at 2828 Gravois Ave., and is a partnerships between Prosperity Connection and the St. Louis Community Credit Union. The credit union also has a branch in the new center. Bell said it costs only $1 to open a checking account at the credit union, while check-cashing businesses often charge $5 or $10 just to cash a check. “We can give you that capability with opening an account for just $1, and then that can lead you to getting loans for your home or car, so people can get on that pathway to accumulating wealth,” she said. 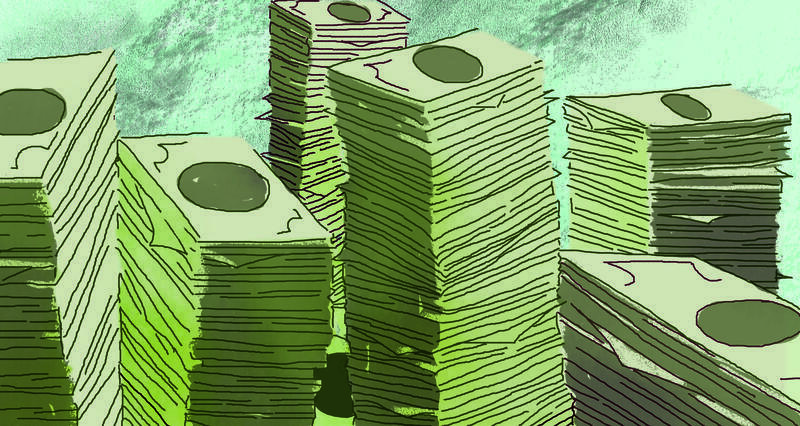 The center also is working to help low-income residents avoid high-interest payday loans. Prosperity Connection runs an alternative lending service in the new center called RedDough Money Center. The top interest rate at RedDough is 36% APR, while the average interest rate paid by customers at payday lenders in Missouri is 450%. 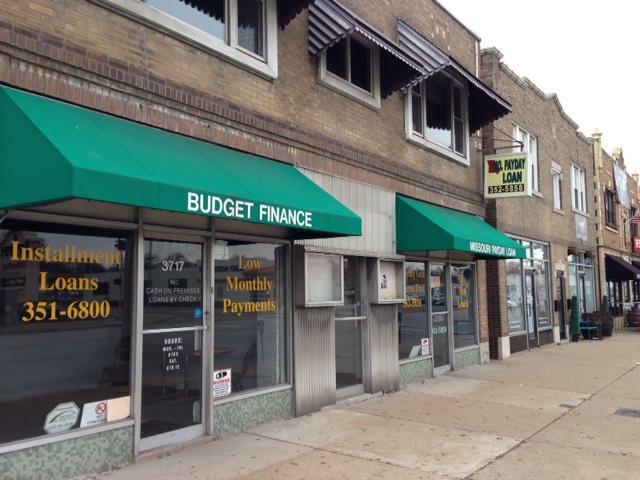 (St. Louis Public Radio reported on the payday lending industry earlier this year.) RedDough also gives customers at least four months to pay back loans, rather than the two-week average of payday lenders. “We’re offering better terms, lower cost and giving people an outlet to financial education and a link to mainstream financial services through St. Louis Community Credit Union and our other financial partners so people don’t have to use high-cost credit,” Woodruff said. The new 4,100 square foot Wealth Accumulation Center cost about $2 million to construct. The St. Louis Development Corporation awarded New Market Tax Credits for the project, which were bought by U.S. Bank’s subsidiary, U.S. Bancorp Community Development Center, which also provided $15,000 to Prosperity Connection for financial education. Enterprise Bank & Trust is providing a $500,000 line of credit to RedDough Money Center to cover loans, check cashing, and other financial services provided to customers. The center is holding a community open house on May 23 from 4 to 6 p.m. Triple A Fish House on Union Boulevard in northwest St. Louis has a new neighbor: the Gateway Branch of the St. Louis Community Credit Union. “I’m so grateful that they’re there,” said Allison Carson, who’s been selling “the best fish and tripe in St. Louis” at the same location south of Natural Bridge Avenue for 14 years.